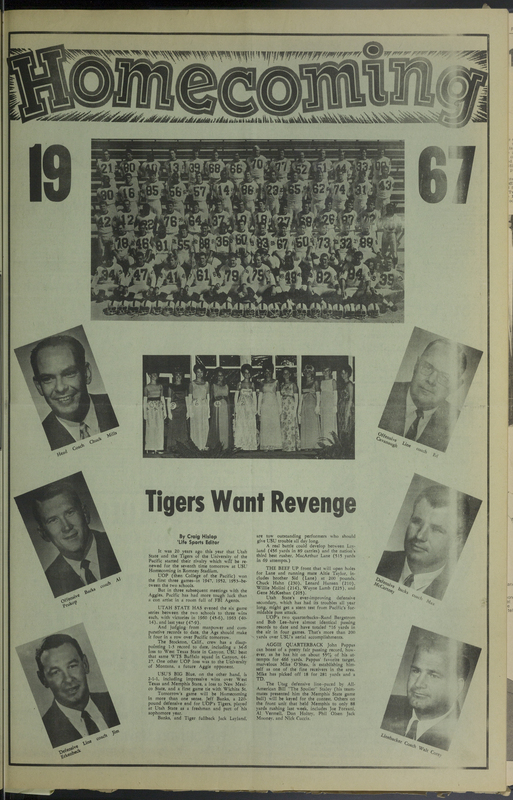 A page from the "Student Life" newspaper from November 11, 1967. Features a full-page advertisement for the upcoming homecoming game. Student Life, “A page from the "Student Life" newspaper, November 11, 1967,” USU Digital Exhibits, accessed April 24, 2019, http://exhibits.usu.edu/items/show/18492.